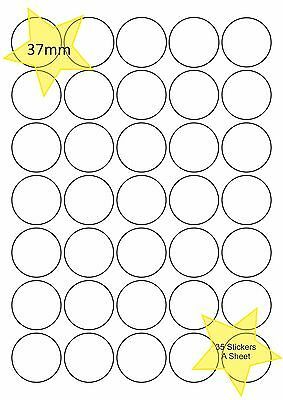 This listing is for blank sheets of 37mm round labels with 35 stickers per sheet. These sheets are suitable for use with an inkjet or laser printer. Please use the drop down menu to select the number of sheets you require. address to send the file to. Please see my other listing for custom printing.